Pubs are closing at a rate of knots these days, but in the small village of Aylesbeare, not only is there a reopened pub, it’s got the full works – in building terms and with its offering. Previously The Aylesbeare Inn, the new village pub, now the Night Jar Inn, was named by the Aylesbeare community thanks to the invitation of its saviours. The old pub was so beyond repair, that it had to be rebuilt by a local developer, giving it a new life and creating a vital hub in the community. Owners of a well-established Exeter catering company, Posh Nosh, then gave this pub it’s wings and have been open since Winter 2017. Unlike the camouflaged bird that is this pubs namesake, the exterior is very large and obvious, yet sleek, with its curved façade sweeping you in. The interior is even more ‘here I am’ than camouflaged creature. A mix of canary yellow and deep sea blue, walls adorned with cattle skulls, metal and wood articles, animal hide rugs and bare wooden tables – it feels like you have just entered a modern saloon, decorated with items from the ranch – it’s just missing the saloon doors at the entrance. The upstairs restaurant has a much more intimate feel, with wooden floors, and beautiful lighting perfect for more intimate dinners but without the high end stuffiness. The menu is a great mix of local fish, meat and vegetables, a lot of which is gathered from within 15 miles of the kitchen, including Greendale Farm shop fish and meat. The offering includes comfort-inducing pub meals as well as more gastronomic dishes I haven’t seen on other menus – this is quite refreshing as classics are great but sometimes you just want something a bit ballsy and different, but that lets the ingredients shine too. 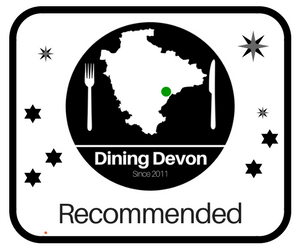 Between the well balanced main menu and a few specials, a starter of Brixham Crab with Avocado, Beetroot and Brioche was the chosen one for me, with my dining partner opting for the Veloute of Jerusalem Artichoke and Truffle. The crab was delicate and sweet with accents to enhance an already incredible Devon ingredient. The velouté, however, was the star on the table; my dining partner (a soup maestro himself) was blown away by one of his favourite ingredients – the humble Jerusalem artichoke. Incredibly full flavoured and well-seasoned, this nutty and nobbly, unattractive root vegetable was transformed like Cinderella for her ball (in this case, bowl) and it was like slurping on a silky yet fluffy cloud. I do love a bit of game, so for the main course Pheasant, Tortellini, Chorizo, Chilli, Wild Mushroom and Spinach was calling my name, whilst the specials board presented another favourite dish for my dining partner, of Pan Fried Brixham Skate, Pearl Barley Risotto, Lobster and Sauternes sauce. Delicious pheasant sat atop silky mushroom stuffed tortellini surrounded by fungi in a tantalising chorizo flavoured sauce. The skate was absolutely spot on; meaty, soft flesh that melted away from its bones, supported by the textures of pearl barley, lobster and a superb sauce – again, all perfectly seasoned. The portions were generous, leaving us with little room for pudding; instead we opted for another drink and moved onto the comfy leather sofas in the corner to sit back and people watch across the pub. We saw couples, groups of friends, and even the farmers turning up for their drinks after a hard day’s work. The ambience of this saloon styled gastro pub is a welcoming one, able to cater for any city slicker or country bumpkin – and there’ll be no stand offs here, unless you’re fighting for a spot on the comfy sofa at the end of a satisfying meal! Sue Stoneman joins the Dining Devon team! I’m so pleased the pub has reopened, Aylesbeare would be lost without one! I haven’t been yet but the décor is beautiful and it looks like they’ve hit the nail on the head with the theme. Thanks for the review! Thanks for your comment Issie! 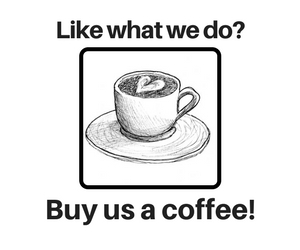 It’s got something for everyone – do pop in!